My love of some movies from the 1930s and 1940s sneaks its way into my podcast conversations from time to time. From discussing 1991’s The Rocketeer with Nerd Lunch to bringing 1934’s The Thin Man to the table in a round of Down the Rabbit Hole, I’ve taken the opportunities I can to wax on the aesthetics, pacing, and energy of another era of film storytelling. On the podcast Greystoked hosts Michael May and Noel Thingvall are going through the Tarzan films in chronological order. 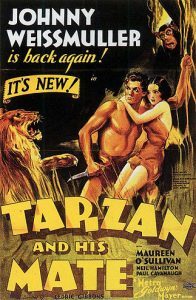 On the show’s ninth episode – Tarzan and His Mate (1934), I joined the hosts to discuss a range of reactions and components that make up the second teaming of Johnny Weissmuller and Maureen O’Sullivan as Tarzan and Jane. It was neat to be able to talk about a 30s movie right after my first viewing of it. 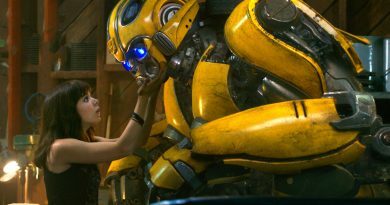 Listen in as we discuss Jane’s characterization, the movie’s effect on the Hays Code, technical achievements in special effects, how Martin is certainly no one’s friend and much more. Heads-up: There is some swearing in this episode. Noel has very strong feelings about Martin. You can also find Greystoked on iTunes.